In the mid-1970s Rev. Edmund “Ned” Joyce, CSC, Executive Vice President of the University and right-hand man to then-President Rev. Theodore Hesburgh, CSC, had been cultivating a relationship with Helen Kellogg regarding an endowment to Notre Dame, possibly to start an international institute at the University. Helen was the daughter-in-law of W. K. Kellogg, the breakfast cereal magnate who had given away much of his fortune to philanthropic causes, and the wife of John Kellogg, who had started the General Packing Company, makers of Waxtite paper. When John died in 1950, a philanthropic foundation was created in his name to dispense his considerable fortune. 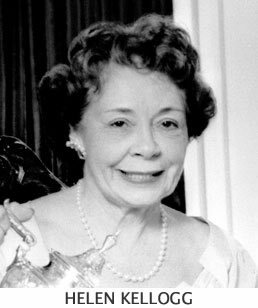 By the time of Helen’s death in 1978, the John L. and Helen Kellogg Foundation had amassed close to $50 million in assets. Unfortunately for Notre Dame, in her will, Helen Kellogg had only specified a “precatory” wish (one that need not be obeyed in a will) that money should be donated to the University. Fr. Joyce arranged for a meeting with the foundation directors to discuss the possibility of a donation, and he called Fr. Hesburgh to help present his plans. By the time of the meeting in 1979, the foundation board had distributed all but about $10 million in assets, much of it to Northwestern University and its School of Management and Business. Neither priest was confident they would receive much from a foundation board with such strong connections to Northwestern. Nevertheless, Hesburgh had a rare ability to sell his vision of Notre Dame as a research institution and its potential to be a leader in the study of peace, justice, and social equality. When they were finally called back into the room for the decision, the board had agreed to give Notre Dame the entire $10 million they had asked for.